I have been a fan of compressed air powered cars for quite some time. 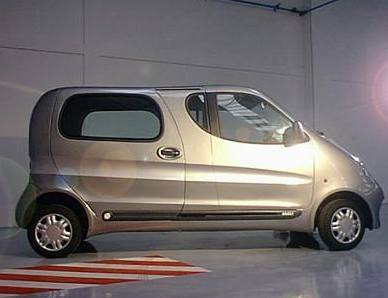 The MDI group in France are to have road ready vehicle in 2010 in conjunction with Tata Motors of India, in the Southern hemisphere the Di Pietro rotary air motor is coming along in leaps and bounds. The prospect of a car that runs on air only could revolutionise the world that we live in, currently the death toll from pollution is in the millions per annum, it is the cause of civil unrest in China who have regular riots due to pollution. You need visit Los Angeles only once to witness the ‘brown haze‘ that hangs over that city, and when you witness the effects of acid rain or the pollution which is eating away the Acropolis in Greece you don’t need a degree in chemistry to realise that we are slowly killing our planet and thus ourselves. An argument regularly put to me when talking about air cars is the fact that there are no air ‘filling stations’ and on that point I had some inspiration today, unlike a petrol station, an air station would require only to have a compressor, in an idea situation that compressor could be run from a windmill or from hydro electric power, but even aside from that, a compressor and storage tank can be purchased and placed safely almost anywhere. If private individuals set up Air Stations on commuter routes they could then be part of a new industry which would distribute ‘air fills’ for those using air vehicles. How much would it cost to fill a car? Well, that would have to be determined by the cost of getting the compressor, servicing it, running it and making some profit, but in any case, distribution of compressed air is something that an average person could invest in and start up a business in, it doesn’t have the barriers to entry that petrol stations have. And air powered cars and motorbikes/motor-scooters are real and available to the market. Air cars are also cheap, and they don’t tend to travel at greater than 75km per hour which means they are suited to medium distances but ideal for city travel and commuting in places where you are not likely to travel at high speeds. The price tag on an air car is about nine thousand euro, with time and efficiency this could be brought down even further and of course the fact that there is zero emissions means that road tax will be affordable as well. The single biggest problem with the introduction of air cars is that we don’t seem prepared to actively fund the projects that will make them widely available and that is a shortcoming of our own making rather than that of the manufacturers, if we were to start a factory in Ireland creating these cars the jobs made would be beneficial as well as the income from the exportation of the vehicles, it would be a win win situation, it is a possibility in our future, and one that should be given serious consideration by investors and the state alike.